As the Agriculture Bill works its passage through Parliament, we polled farmers to ask them what policies they think the UK Government should be adopting to create greatest opportunity for UK agriculture. We presented farmers with a range of policy suggestions and they awarded them points on merit. 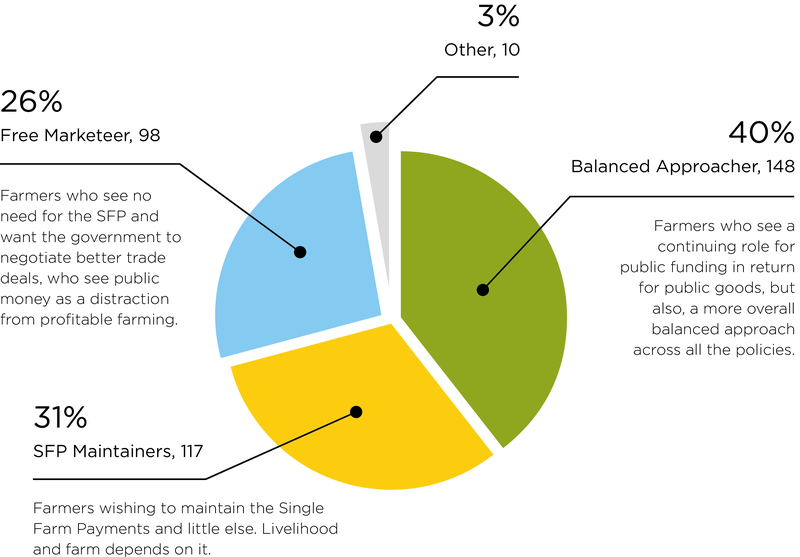 While the farmer respondents were able to allocate all their points to a single policy or distribute them among different policies, three clear types of farmer emerge.